Posted byAlycia Gordan	 19th Nov, 2018 17th Apr, 2019 Leave a comment on How Much Does an SEO Service Cost? Are you looking for an SEO company that can help you grow your business? Hiring an SEO expert can bring a much-needed boost to your eCommerce business. 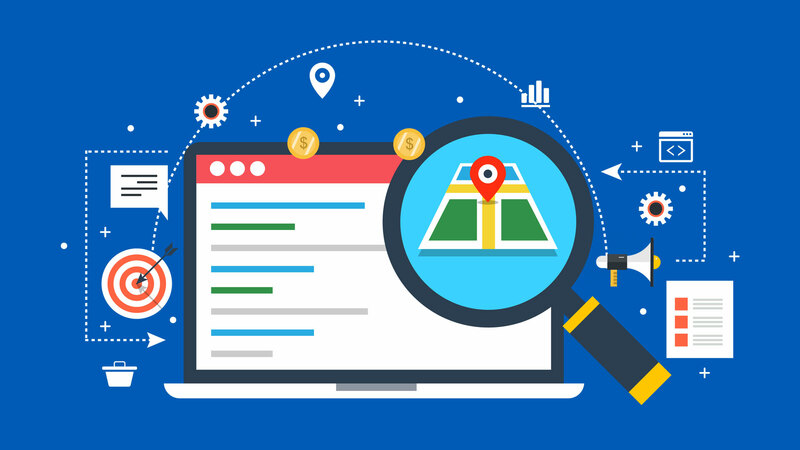 A good search marketing campaign can do wonders for increased traffic and sales. However, when you don’t have an in-house SEO expert to help you, then it can seem somewhat intimidating to choose which SEO services your business needs. Today, we are going to discuss different SEO pricing plans, services and red flags that can help you select the right SEO service for your startup. SEO Services Pricing: What to Expect? Many small SEO companies offer monthly or yearly contracts which include some different services like writing articles, adding backlinks, and pages that will be optimized. Most of them create advance strategies for each month. The client stays in the loop and gives feedback wherever it is needed. Most of the clients choose a monthly retainer package and pricing for this varies significantly from country to country. However, it doesn’t exceed the $5000 mark per month. The most popular pricing tier for the monthly retainer is around $501-$1000 per month. However, we recommend that instead of choosing a company that promises to build a certain number of backlinks each month, look for SEO activities that will bring a long-term positive change in your business. An ideal company will work on customized SEO services that will suit the requirements of your business to bring about the highest ROI. If you are a small business that is looking for SEO services charged by the hour, then you can expect them to cost somewhere between $50-$250 depending on the type of SEO company you choose. But if you are looking for an expert to make quick tweaks by the hour, then instead of hiring an agency to perform an SEO audit, it may be wiser, to hire an SEO consultant who can offer one-on-one suggestions for specific SEO services needed by your business. A survey by Moz collected data from over 600 SEO companies, and it concluded that an average SEO expert charges around $80 to $130 per hour. If you are looking for an SEO agency for a particular project, then you can easily find someone to help. For example, a local bakery may ask an SEO company to help them with their local online marketing or to manage their social media accounts. The cost and scope of the project are decided between the client and agency, and it can range anywhere between $2000-$5000. Search bots crawl through your site and read keyword rich content to identify the niche of your site. This helps in displaying your website in relevant search results. This is why it is important to add keywords to your URLs, titles, meta descriptions, and other site content. Make sure you add alt tags which are text descriptions of all your multimedia elements. If you want your website to attract loyal customers, start updating your website with fresh and high-quality content. Consistent site updates are a factor that will help establish your website as a leader in your industry. Technical elements of your page are very crucial when it comes to increasing your page’s search engine rankings. Make sure that the SEO agency you hire cleans up your code and ensures that your page loads quickly. A slow loading website interferes with user experience and most visitors only skip the site and log onto a competitor’s page. What’s more, even Gooogle has made page speed a major mobile search factor- so make sure your website loads quickly on different devices. If you want to increase user-friendliness on your website, then start looking for ways to implement responsive design. Responsive design ensures that your site not only looks great but also performs admirably, no matter which device a visitor uses to log in. Search engines prefer the website that has a streamlined navigation system. Instead of confusing your visitor with lots of links and clutter, it is recommended to offer easy navigation and add links only to the most important pages of your website. Make sure that your site has customized content that provides valuable answers to your visitor’s questions. Do thorough keyword research to discover trending topics in your industry and develop fresh content accordingly. These are some of the leading SEO factors that an SEO agency should look after as they can improve your website’s search engine rankings by leaps and bounds. SEO Firms That Offer 100% Guarantees: Nothing can be guaranteed in the ever-changing world of SEO. SEO Companies That Promise Instant Results: Remember, if SEO is done fairly then, it can’t get immediate results. Many companies game the system to get the desired results, but these kinds of unethical practices can hurt your business website in the long run. Moreover, Google identifies these techniques and penalizes them by reducing their rankings which can take months to recover. SEO Companies That Promise the #1 Spot on Google: There is nothing more off-putting than an SEO agency that guarantees your website to secure the #1 place on Google. It can be done after months of usual SEO tactics, but an overnight change means that there is something fishy. Unbelievably Priced Packages: Any agency that offers a cost lower than $750 per month is too good to be true. Don’t look for the lowest price when it comes to boosting your business. Unethical Link Building Services: Link building is a crucial part of SEO which can make or break your website. Be active and spot the dark side of link building. Don’t forget that SEO is the highest ROI marketing effort you can make for your business today. The benefits associated with good SEO practices outshine other marketing approaches, so hiring an SEO company to optimize your website is a long-term investment. Choose a quality SEO agency, and you will see an incredible increase in revenue. We hope this article was informative and surly helped you to decide a pricing plan for the SEO service you are about to hire for your upcoming projects. Do you have any more questions regarding how much an SEO services costs? If yes, let us know in the comments below.